The collectible LEGO Minifigures Series, also known as the LEGO CMF, was first introduced March 5th, 2010. 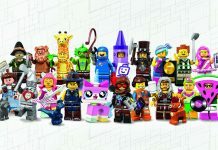 Each CMF series usually contains 16 minifigures, with mostly unique accessories, prints and molds. The minimum number of figures a series contained was 9, while the maximum was 22. A new LEGO CMF series releases roughly every 4 months. New series are released for new films, such as The LEGO Movie 2, events such as the Olympics, or as part of their regular unlicensed numbered series. The latest regular CMF is 71021, also known as Series 18. This was released to celebrate 40 years of the minifigure. 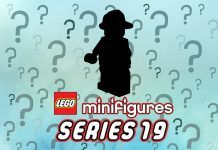 The minifigures are sold in individual mystery packets, theoretically meaning fans won’t know which character they are receiving. While controversial, many fans feel the packets to guess what is inside, helping to minimise duplicates. Different characters have different weights in the packets. Some may characters may have one figure available in a sealed 60-pack box, while others may have 5 per box. Fun fact: For Series 10 LEGO released an ultra-rare Mr. Gold minifigure character. Only 5,000 were produced worldwide, meaning it is very difficult to complete the collection. Also another fact is that all of LEGO’s regular series through 1-18 have been unlicensed. 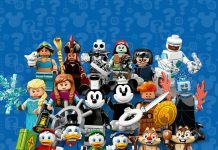 LEGO designers confirmed in an interview that they will release one unlicensed series per year.